The Facts	First of all, those NAEP-based charter school reports are all based on a single, one-time special sample of charter school students that the NAEP conducted way back in 2003. Those are rather stale results. Many charter operations had not been in place very long when the NAEP studies’ test sample was collected. So, the finding, which even the NEA acknowledges, that “students taught by teachers with at least five years' experience outperformed students with less experienced teachers, regardless of the type of public school attended” is therefore important. 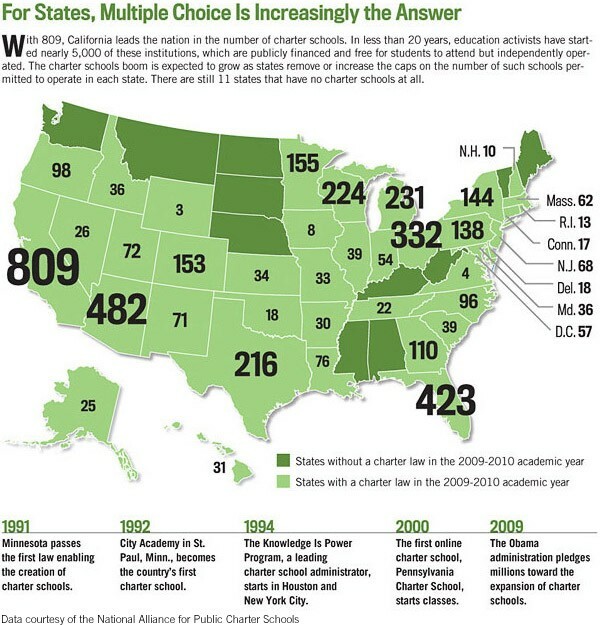 Not many charters had that long a track record in early 2003 when the NAEP test was administered. Even according to the NEA, as of 2004, the year after the NAEP sample was taken; more than a third of the charters had been in operation for less than three years. Due to the way NAEP samples schools, the comparisons NAEP could make between charters and regular public schools involved sometimes rather small samples, even with oversampling. Finally, the NAEP study is what researchers call “correlational” only. It is not even close to the quality of randomized type studies such as used by Professor Caroline Hoxby, who is consistently finding charter students perform better.